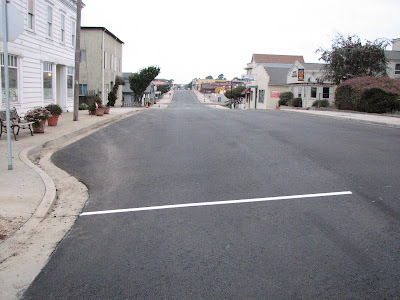 Monday, August 6th, the final layer of asphalt was laid down between Oak and Laurel. It looks great and I am sure the shop owners are very happy to have all the commotion over with. Just add some center lines and other markings and we're good to go. I wonder how long it will be before something has to be trenched in!